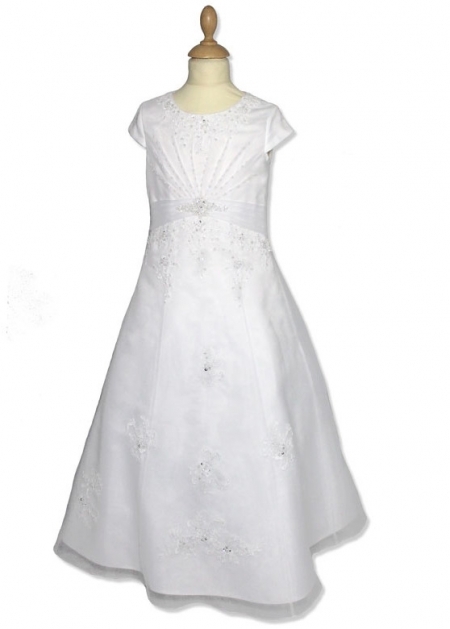 Glorious First Holy Communion dress in white with short sleeves. "A" line shape to give a flare out look. Full length dress with beading at the neckline, waist, front and rear hem. Zipped at rear with large decorative bow. Fully lined. New for First Holy Communio. Made by Linzi Jay as part of their Little White Collection. Style number LWCD9.